Calibration Check In: check gages in that are back from calibration. Check In transaction window displays calibration transaction window. 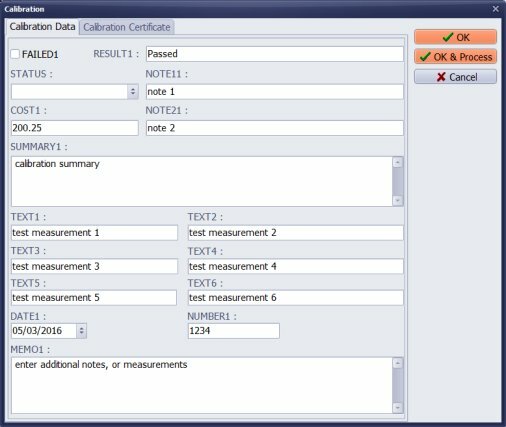 You can enter calibration data. Gages are back from calibration. Scan device barcode number or type in into the barcode field. 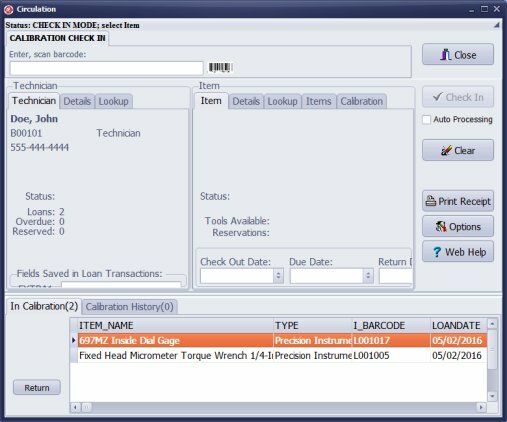 When item is selected the check in transaction window opens a calibration transaction window. Enter calibration data. Click Ok-Process, transaction is recorded and item is checked in. Click Ok, you return to check in window, you can do additional changes to your calibration entry (click the Calibration tab). Click Check In to check the item in. Click FAILED if gage did not pass calibration. If you are using the system to check devices in and out to employees, the program will not allow loans of failed devices. 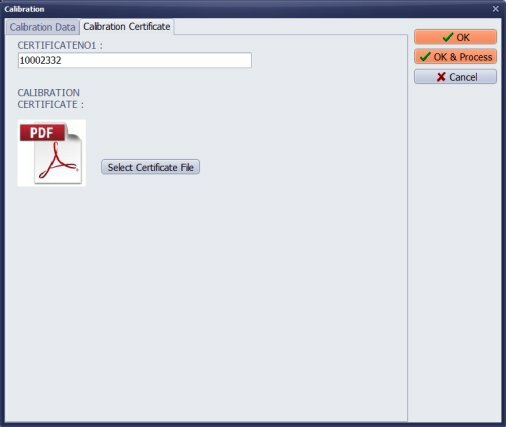 Enter calibration certificate number and select certificate document. Click Ok-Process to close the transaction windows and finalize check in. Click Ok to close the transaction window, you will have to click Check In to finalize return of the item to the inventory.